Variety reports that Game Night‘s Jesse Plemons has entered negotiations to join Captain Marvel‘s Brie Larson in the upcoming adaptation of the 2016 novel, I’m Thinking of Ending Things. Writer/director Charlie Kaufman is bringing the film to life for Netflix. Based on Iain Reed’s 2016 novel of the same name, Larson stars as a woman whose boyfriend, Jake (Plemons), is taking her to meet his parents on their secluded farm. After Jake takes an unexpected detour and ends up leaving her stranded, psychological terror ensues. Given Kaufman’s unconventional approach to often serious subject matter with films like Adaptation and Anomalisa, it will be interesting to see how he’ll approach this particular story. Plemons is well-known for his work in television, receiving acclaim for his role of psychopath Todd Alquist on Breaking Bad, winning the Critics’ Choice Award for his performance in the second season of the FX anthology series Fargo and more recently for his appearance on the Netflix horror anthology Black Mirror, for which he was nominated for an Emmy. He has also been making a bigger push into films for the past few years, holding notable roles including Black Mass, Hostiles, The Post and Game Night, where his performance was singled out by many critics, and can next be seen in the upcoming biopic dramedy Vice alongside his Hostiles co-star Christian Bale that’s set to hit theaters on December 25, and Jungle Cruise alongside Dwayne “The Rock” Johnson (Jumanji: Welcome to the Jungle), which is set to hit theaters on July 24, 2020. 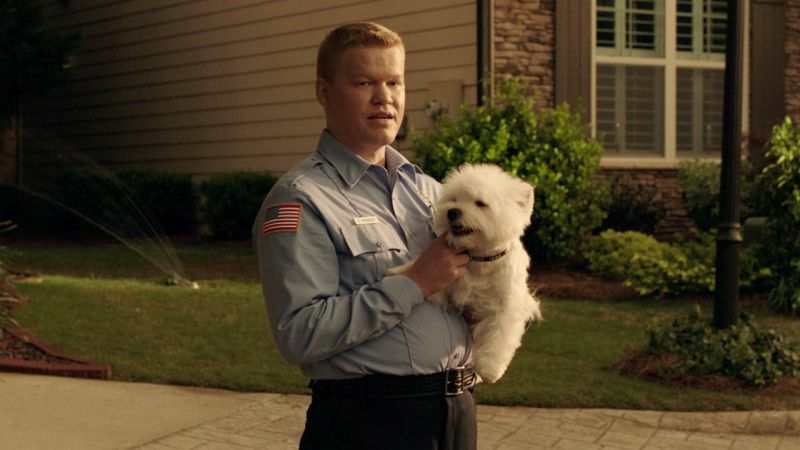 The post Jesse Plemons in Talks To Join Brie Larson in Charlie Kaufman Netflix Movie appeared first on ComingSoon.net.